In Part 1 of this series, I described my difficulty in discovering hockey as a kid in Chicago in the early 1980's. By the fall of 1985, my father (a Chief Petty Officer in the US Navy) had been transferred and my family relocated to the hockey hotbed of...Honolulu, Hawaii?! At the age of 9, we settled into our new island paradise, and my passion for sports grew rapidly: the Chicago Bears' run to the Super Bowl that season quickly became the biggest sports story as the NFL exploded in popularity, while Magic Johnson and the "Showtime" Lakers helped lead the NBA to greater success. In addition, the University of Hawaii sports teams were pretty much our only "local teams" to support every year, so I began to notice both college football and basketball. 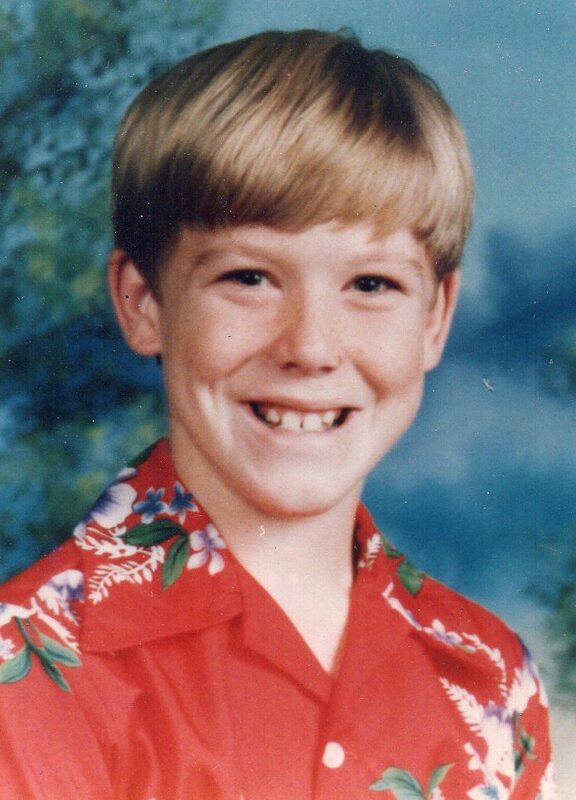 I would continue my participation in Little League baseball for the next few years, and when I grew six inches in the summer of 1987 (bringing me to 6'4" at the age of 11), it only seemed natural that I would participate in basketball as well - being able to play outside in warm weather ALL year long certainly helped with both sports. Hockey in Hawaii at this time was a complete afterthought, though I vividly remember a 6th-grade field trip to a local ice rink (Ice Palace, which is still open today), marking my first time ever wearing ice skates. I was unaware of any youth hockey organization in which to join, and we certainly didn't have our own local NHL team. Television coverage was also limited for sure - even though the NHL was broadcast nationally on ESPN at the time, and our cable provider carried Prime Ticket (home of the Los Angeles Kings), I never really knew when the games were on and had no real knowledge of the players involved. 1. "Have another doughnut, you fat pig!" One of the most infamous moments in NHL history occurred during the 1988 Stanley Cup Playoffs, when New Jersey Devils head coach Jim Schoenfeld and referee Don Koharski got into a heated argument after a game, which culminated in the coach bumping the ref, causing him to fall, and then telling him to "have another doughnut". (Ed. note: Schoenfeld's exact quote was: "You fell, you fat pig! Have another doughnut!" - but much like Mae West's "Come up and see me some time" and Humphrey Bogart's "Play it again, Sam", the slightly altered misquote of "Have another doughnut, you fat pig!" has become the catch phrase for the incident). ESPN ran with this story, as even 25 years ago they followed the same formula which they often use today - a controversial incident occurred, which was caught on tape, and pertained to a sport in which they held broadcast rights. On the 20th anniversary, Yahoo's Greg Wyshynski detailed the aftermath of the incident - which included Schoenfeld being suspended for the next game, the Devils being granted a court order so that Schoenfeld COULD coach that game, the referees walking out in protest just before the game started, and replacement officials working the game in their place. I had no idea who any of these teams or individuals were, but the story was so bizarre that I couldn't help but follow it. As odd as it may sound, this may be the first time in my life where I thought: "What is this National Hockey League that they're talking about?" It's hard to accurately describe the impact this trade had on the sports world, and numerous writers used the 25th anniversary from last month as a chance to reflect that. Even for a kid growing up in Hawaii, I heard about it - it was all over ESPN and even got some coverage in the local papers (as best I can recall). People continue to claim that this trade is the reason that teams like the San Jose Sharks and Anaheim Ducks exist at all, and they're probably right, even if we'll never know for sure. This was also the moment when I became familiar with the Los Angeles Kings, who I'd otherwise remembered as "that hockey team that would sometimes be playing on that cable channel where I watched Lakers games." I remember seeking out the occasional Kings game on Prime Ticket after this point, but it would prove to be difficult since, as I previously mentioned, I never really knew when the games were on (couple that with Hawaii not observing Daylight Savings Time, which meant that we were two hours behind California for half of the year, and three hours behind for the other half). Typical scenario: I'd be doing something else and think, "I wonder if Gretzky and the Kings are on right now", then flip to Prime Ticket. If they were on, I'd watch for a while, even though I didn't quite understand all of the rules; if they weren't on, I'd quickly forget and move on to something else. 12-year-olds love video games. I'm convinced that if you want to introduce a child to anything from Norse mythology to beekeeping, simply create an entertaining video game on the subject and it will work wonders - it's perfectly fitting that hockey would benefit from this idea. My friends and I had been playing Super Mario Bros. and Mega Man non-stop for a year or two before Nintendo unleashed their hockey game on us, which turned out to be perfect timing, as the video games from the other three "Big Four" sports left a lot to be desired. You could choose from three different player body types, and outfit your team with any combination of them; fast but weak Skinny Guys, brawny but slow Fat Guys, or well-balanced, middle-ground Normal Guys. Every Ice Hockey player discovered their own perfect combination of men, and then it was on to the ice. 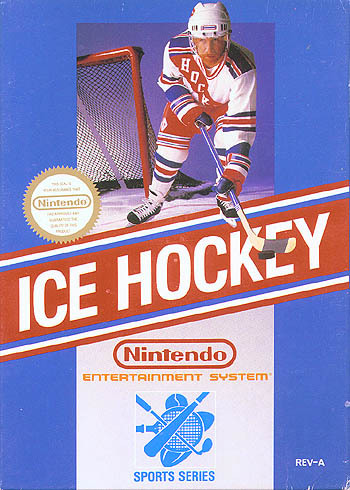 I swear we played this game for hours on end, and though Konami did release BLADES OF STEEL later that year (which, let's face it, was pretty much "boxing on ice"), we always had a soft spot for the smoother game-play of ICE HOCKEY. Despite all of this, 1988 also brought one major development which hindered my ability to follow hockey - ESPN did not renew their contract with the NHL that summer, and the following seasons would then be broadcast by SportsChannel America, a channel which we unfortunately did not have. It was definitely a missed opportunity for hockey, as I would soon became immersed in college basketball shortly thereafter - thanks, in no small part, to ESPN's "Big Monday" slate of triple-headers (which started right when I got home from school) and the basketball team from the University of Illinois (my home state) making a magical run to the Final Four in the spring of 1989. 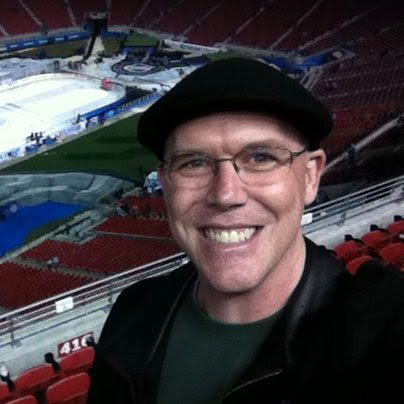 Coming up in Part 3, I describe how a long-defunct software developer would have the greatest impact on educating me in the ways of hockey.